The Town of Ashford is located in northwestern Windham County, 29 miles east of Hartford at the intersection of Route 44 and 74. Interstate 84 passes through the northwestern corner of town. Ashford is 40 miles west of Providence, Rhode Island and 80 miles southwest of Boston. The town is nestled within the quiet corner of Connecticut Ashford, was incorporated in 1714, and has a total area of 39.5 square miles. The Town of Ashford is home to 4400 people. Ashford School, located at 440 Westford Road (Rte 89 North), is our only public school within the Town. Ashford students in grades 9 through 12 are enrolled in E. O. Smith High School, (Regional School District #19), Windham Technical High School, and ACT Magnet School. The Town of Ashford, granted prerogatives by the Connecticut General Court in October of 1714, has, as has been the case with most northeast Connecticut towns, undergone the growing pains associated with rural, agricultural communities that slowly evolve into rural, suburban communities. Through the Town Meeting process, we branded our horses with the number 3 (as granted by the Connecticut General Court), ran our sheep on the Common, yoked and ringed our Hogs, established a bounty on rattlesnakes and agreed that all Rams shall be shut up from the tenth day of August next till the first day of November following. On January 6th in the year 1778, the Town Meeting unanimously voted to uphold the Articles of Confederation and the concept of perpetual union as proposed by the Congress. Looking out of the cupola atop the new municipal office building, one has the opportunity to imagine the Ashford that was, the Ashford that is, and the Ashford that will be. Knowlton Memorial Hall, the gift of Charles C. Knowlton and dedicated to the memory of his father Jonathan W. Knowlton and Colonel Thomas Knowlton, who fell in battle September 16, 1776, at Harlem Heights, Island of New York, age 36 years, was constructed in 1923 and designated for inclusion in the National Register of Historic Places in 1994. Knowlton Memorial Hall served as home to our municipal offices, home to the Babcock Library, one of Ashford’s many schools, and most notably, the assembly hall. Many standing room only Town Meetings held in the auditorium of the Knowlton Memorial Hall, determined the course that the town would take. It has seen elections, theatre productions, concerts and more recently, as Town Offices. From the cupola we see many of Ashford’s churches, the new fire station and the homes and outbuildings that dot our landscape. More importantly, we see the roads, the rivers, the brooks and ponds and hills and valleys that make up our town. Whatever the season, it is evident that at one time Ashford was a farming community. Roads, laid by committees elected at the Annual Town Meeting, were obviously configured to provide local farmers with the fastest, safest routes to market and direct routes from Hartford to Boston and Providence. Taverns, hotels, and blacksmith shops grew up along the well-traveled highways. Tanneries and carpenter shops, grist mills, dairy and chicken farms, a glass factory and the production of local produce waxed and waned with the population. Following conflicts beginning with the Revolution, our population became aware of the possibilities of easier lifestyles elsewhere than those offered by farming in our rocky terrain and frosty winters. From 2,286 in 1782, to 668 in 1910, to 4,349 in 2004, the population of the Town of Ashford has fluctuated. The early to middle 1900’s brought an influx of Central Europeans who were eager to purchase affordable land and establish themselves in dairy farming and later in poultry raising. Our men and women have served their country and their way of life during many wars and conflicts. Our cemeteries are dotted with flags recognizing veterans from the Revolutionary War, the French and Indian Wars, the Civil War, WWI, WWII, Vietnam and Iraq. Ashford has produced great leaders and great followers who will never be forgotten. 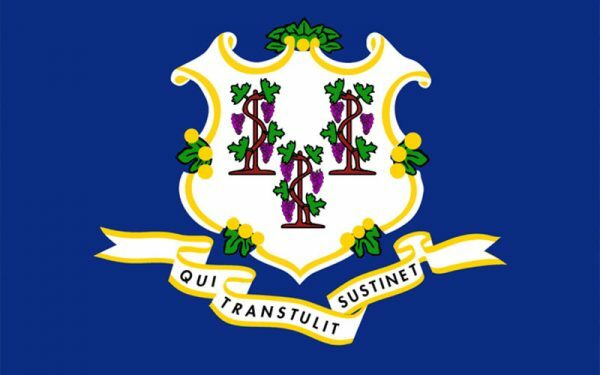 The settlers of the 1600-1700’s, the Central Europeans of the 1800-1900’s, the people who gravitated to Northeast Connecticut during the 1950’s and 1960’s because of the University of Connecticut or job opportunities in the insurance industry or at Pratt & Whitney, all contributed to the Ashford that we see today. For more information regarding Ashford history please contact Ashford Historian Barbara B. Metsack.